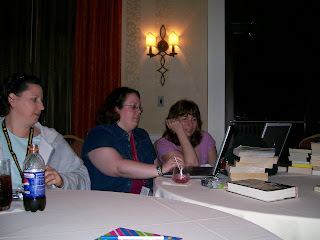 I had a great time on my 1st bookcrossing convention. 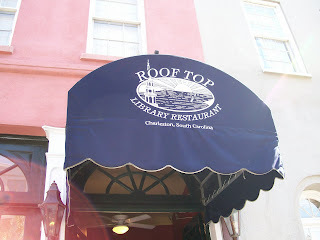 I met some wonderful people and met up with my extended family which I felt at home :) and saw some of Charleston too. I even got a little sun burned LOL! I like going on that book hunt with Ann and Cherie. Saw and talked with the new CEO for bookcrossing. I even got to see Ron Hornbaker. Even though he was via webcam it was still nice to see him talk other than just seeing a picture of him. 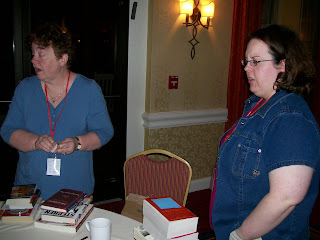 One of my favorite mother and daughter teams, Dana and Lauren :D That is all of their books in front there. And that was just the 1st night LOL! 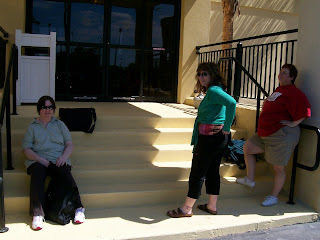 Here we are waiting outside of hotel for that ever so busy taxi on Sat. to take us to town to do a little sightseeing while releasing Ann's books for the reverse scavenger hunt. I tried to get a better picture but the lighting was real dark. 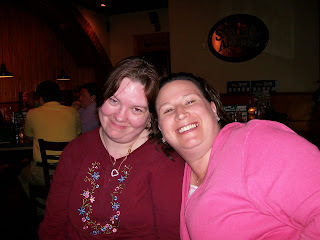 But anyway Meg Herndon and Gail Greer,"Carolina Cousins", Cousin Nancy Pate wasn't there. They talked about their books and where the ideas come from etc. 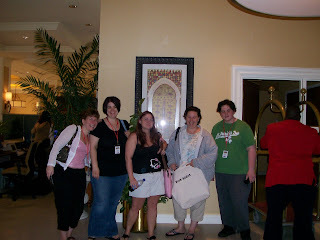 It was the first author that I've met outside of our own WOM's (Susan). They signed their book for me. So that was a real nice ending to the convention.